I’ve been going through the gospels this week (Matthew, Mark, Luke and John – the first four books in the Bible’s New Testament). If the SAME newspaper arrived on your door every day with the exact same stories we would read it once and be done with it. If I got the exact same email every day for just a week I might delete it forever. If we had to eat oatmeal three times a day for a year we might go on a hunger strike. But I have been reading the Jesus story in the gospels almost every day since the mid 1970’s. I am STILL fascinated by Jesus. He never gets old, boring or passé. Each day He is fresh, exciting, captivating, shocking and new. I hear something new every time I read His life and what He taught. I learn something new each time I read His words. No teacher is so real, so radical, so demanding, so loving, or so comprehensive. I read. I have never, ever, in all my life, been exposed to a historical figure, thinker, teacher, guru, rabbi, professor or scientist who comes close to Jesus. Let me say it another way. 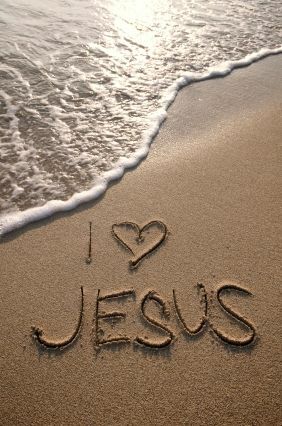 I’m in love with Jesus. I encourage you to pick up a New Testament and read about Him. Jesus is amazing.